Edited by Charisse Pearlina Weston and Linette Park. 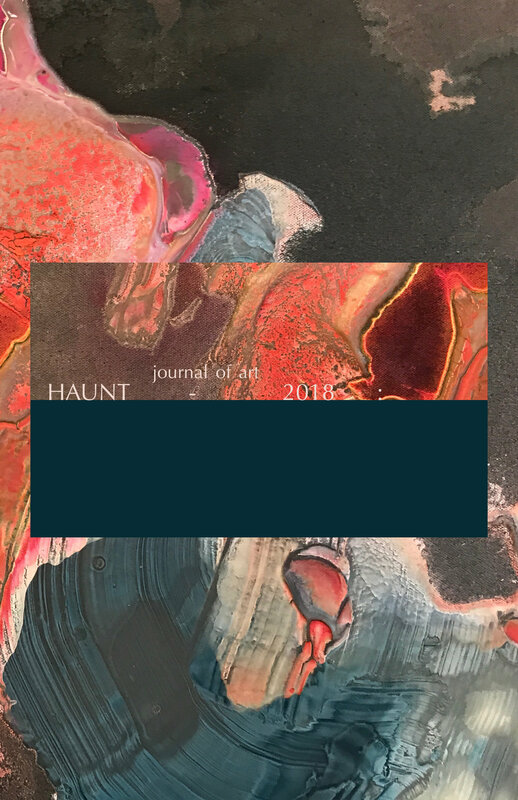 Thematized on the status of the radical in contemporary thought, this issue features work by a diverse array of creative practitioners whose work explores this topic from the margins. Artwork by visual artists Regina Agu, Andrea Welton, Cosmo Whyte and Antoine Williams. S. Erin Batiste, Mali Collins-White, Terrance Hayes, Douglas Kearney, Prathna Lor, D.S. Marriott, John Pluecker, Traci-Ann Wint-Hayles, and Frank Wilderson III. Also in this issue: An interview with Erin Christovale (Assistant Curator, Hammer Museum) conducted by Editor-in-Chief Charisse Pearlina Weston, and Managing Editor, Linette Park. Commissioned and published on the occasion of the exhibition of work by Jamal Cyrus x Jamire Williams, Boogaloo & The Midnite Hours, at Lawndale Art Center. Edition of 5. Published in conjunction with the installation: Politics Surrounded, For Giving (Medley) at the Elsewhere Museum, NC. The Unpossessed meditates on the body, on representation, and on the illusiveness of the locales wherein the value and power of black bodies present and gone reside within the current state of political and social unrest in the United States. Red Book of Houston: A Compendium of the New Black Metropolis, 2015. The Red Book of Houston: A Compendium of the New Black Metropolis. The Red Book of Houston: A Compendium of Social, Professional, Religious, Educational and Industrial Interests of Houston's Colored Population was first published in October 1915 by Sotex Publishing Company. The intent, as explained by the publishers, was “not to take into consideration any of the so-called racial problems” of the time, but to record the successes of local black businessmen and women who “stand for the uplift” and who, through their adherence to “social and racial barriers imposed by Jehovah,” represent good models for Black prosperity. Heavily influenced by Booker T. Washington’s strategy of accommodation and early promotion of what would later become known as black capitalism, the book, while well-meaning, raises questions concerning the role that economics plays in notions of prosperity, of power, and of identity. What does it take to have a foothold in a society where your value is always in question? What happens to everyone else when a select few are lifted up into the realm of exception? Are the systems of value that are integrated into our communities of color, systems which use economic wealth as a marker of success, truly pursuing prosperity for the whole, or power for the few? How does either pursuit affect our sense of collective and individual identity? This book navigates these points of inquiry through the fragmentation and reconstruction of the original text for the contemporary. The impetus of The Red Book of Houston: A Compendium of the New Black Metropolis is to inspire dialogue and meditation on what prosperity, growth, and success should look like for us now and in the future. Edition of 15. Designed by Amanda Thomas. Published in conjunction with the installation: The Red Book of Houston: A Compendium of the New Black Metropolis, Round 43 at Project Row Houses. Collection of short text pieces/poetry/essays/notes from installations, performances, and non-events. “About Highways.” Not That but This. April 2015. "Of Darkness: Of Risk." Not That but This. 2017. "Eclipse (An Annotated Excerpt from The Red Book of Houston: A New Compendium for the New Black Metropolis (2015) ." What's the New News. February 2018.